Miss Harrietta Eastmont has a secret, but it pales in comparison to the fear of her uncle discovering her whereabouts as she rings Lady Blackstone’s doorbell and prepares her deception. It took great courage to leave what little security she knew, but Harrietta soon learns it takes even greater daring to trust those who would care about her plight. Lady Blackstone’s handsome and gentle son would have it no other way. If a young lady in Jane Austen’s England did not choose to be a wife, she had very few other options. Harrietta stood looking out a window that reached from the floor to the ceiling in the morning room where her adventure with Lady Blackstone had begun a week ago. She had come to love this room with walls covered in yellow silk as pale as to give the illusion of a sunny day even when London’s drizzle would color everything gray. Lady Blackstone’s new companion had always felt if she could get through a week, then surely she would survive anything life threw at her. The past seven days had felt like a month of joy. Now it was only nights that brought images to disturb her peace. “I quite agree with Elise,” Lady Blackstone had responded with humor. “Harrietta is a cumbersome name for one as lively as you.” It was then she asked if she might also use Harri. Since that moment, the two women had felt constraints slipping away. Both were finding themselves uncommonly comfortable in each other’s company. “Harri, you must not stand by the window when there is cheer and comfort by the fire. I begin to wonder if this rain will ever cease.” Lady Blackstone entered the salon with energy; her cheerful voice belying her complaint while interrupting Harri’s woolgathering. It was time for their afternoon tea. “You will not get the upper hand throwing down such challenges, my girl. Pick up where we left off. I am content to sit and listen until the tea cart arrives.” Both had excellent voice and infinite capacity to feel the words of the characters so they were inclined to share reading, but the great fun came from their divergent points of view. Harrietta did not get further than three pages when Holmes entered with the walnut scones, lemon cakes, and Bohea. Lady Blackstone poured the tea and served her companion another example of Miss Austen’s intent to show the lack of morality in those who embraced city life. Miss Eastmont rallied, “You must first convince me Miss Austen has interest in the larger social issues. I believe you will find her first two books simply explore the relationships of men and women of our time. She is not inclined to moralize, but rather peels away layers so the reader might see the emotions guiding people’s lives. 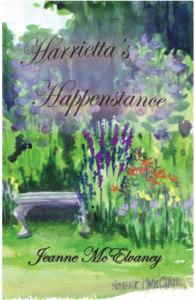 Only consider Sense and Sensibility.” Harrietta paused to reach for a scone while downstairs Holmes was taking Lord Blackstone’s hat and gloves. The butler had years of experience in responding without revealing anything at all and Lady Blackstone’s son knew he was only acknowledging her ladyship’s loyal servant when asking such a question. He was quickly on his way up the stairs, used to finding his mother in her yellow salon at tea time. Only the unexpected laughter stopped him short of entering after he opened the door. He paused, not wanting to barge in on his mother’s rare visit, yet hesitant to leave without greeting her after his absence. They were accustomed to having tea together at regular intervals and not because he felt obliged, but today his mother was caught up in conversation and did not notice his presence. Her visitor was turned away from the door as she chided and laughed. “I vow Lady Blackstone, I cannot have you place all the goodness of the gentry on poor Fanny’s shoulders. She is having a time of it just finding her place in a country estate. More likely, MansfieldPark is about money and poverty, rather than city and countryside. Or perhaps it is nothing more than showing a fish out of water.” Again laughter filled the air around the blonde-touched light brown hair. Its confident, deep rumble drew Lord Blackstone into the room. His desire to meet the person who challenged his mother with levity and logic announced his presence. “Stone! You’re back. Such a pleasant surprise.” Lady Blackstone’s smile was invitation to share the moment. She knew Holmes would arrive momentarily with a tray carrying a third cup and more hot tea. Most likely cook would add macaroons, a favorite of her son’s. As Blackstone approached his mother’s chair, she reached for his hand and squeezed it. She glowed with pleasure as he placed a kiss on her cheek and turned to greet her guest. His mother made him known to Miss Eastmont as the young lady set aside her refreshments and rose from her chair. She graced him with a delicate curtsey and wished him a good day. Her eyes never looked higher than his exquisitely folded cravat. The countess looked from her companion to her son. Holmes entered to provide the perfect excuse to be seated and fuss over refreshments. As the butler left, Lord Blackstone was handed his tea and offered a large macaroon, gently browned on top. Harrietta could sense the plate held out for her selection. Her teeth grabbed the edge of her lower lip as she looked up, hoping to stop her racing heart by attending to her employer’s overture. Lord Blackstone watched the young woman try to gain control of her inner turmoil, intrigued by the change his presence had wrought for her. She might spend the next moments nibbling at the edge of the cookie, but he was quite content to notice the high color rising from her chest, seeking her cheeks. It was a distinct improvement from the ashen face that had avoided his scrutiny moments before. Lady Blackstone turned her attention to her son and shared general news of the city that he might have missed in his absence. Only when she was convinced her companion was not going to join the conversation, did she inquire about the state of Blackstone Manor. At three and thirty, Blackstone was quite capable of making her laugh at the housekeeper’s antics when faced with their wolfhound giving birth to pups in the pantry even as he traced Miss Eastmont’s profile down her pert nose, across her satisfyingly full lips, under her firm chin to a neck that promised soft scents. He relayed messages from their neighbors and noted Miss Eastmont’s delicate fingers. He knew they would be cool and light were they to touch his face. He assured his mother the gardener had been informed about the new plot she had in mind for spring planting and wondered about the color of Miss Eastmont’s eyes. With the conversation rambling among family interests, Harrietta waited for a pause before suggesting she would leave them for a private coze as she must get to the lists she was preparing. She did not sit waiting for agreement, but stood up as she spoke, looking at Lady Blackstone for her dismissal. The countess held back her denial when she saw the distress in Harri’s eyes. Blackstone stood, checking his desire to speak to the young woman who obviously wanted escape. Harrietta nodded before she turned to Lord Blackstone and curtsied to his cravat once more, wishing him a good day. Both son and mother watched Miss Eastmont make her way out of the salon. “I am sure I have not caused such distress in a damsel since I put a toad in Bagley’s picnic basket,” Blackstone stated in wry humor. His pregnant question hung in the air as he took his seat expecting to hear his mother explain just what had happened in the past half hour. “You did put the poor child out of countenance, dear boy. I think I must thank you for providing another piece in the puzzle that is Miss Harrietta Eastmont.” Lady Blackstone checked her cup and absently poured herself more tea, tilting her head to gauge Blackstone’s desire for more refreshment. He waved his hand in dismissal and waited for more information. “She’s my companion,” the countess said as she watched to catch her son off guard. She did not often surprise him and relished the opportunity to share the story of Harri’s arrival. The interview and subsequent days were told with flourish, creating a tale of mystery, humor, and tenderness. Lord Blackstone enjoyed his mother’s animation as she described the past week with Miss Eastmont. He compared the laughter and conversation he had overheard at the door with the meek nervousness he had found upon entering the salon. “What do you make of her circumstance?” he asked as he considered another macaroon. The countess’s eyes lit up at her son’s affront. Lord Blackstone was clearly affronted. He was not accustomed to women of his acquaintance shying away; he was used to determining the level of familiarity with the ever-eager females who came into his realm. Harrietta’s offense was more pronounced because he had been captivated by a voice charging forth with humor and intelligence. “I think you will find your new companion averse to all gentlemen. Lady Blackstone’s pleased nod ended their musing about Miss Eastmont and they passed the next hour catching up and making plans for their visit to Blackstone Manor. It was their habit to miss the beginning of the Season so they could be present for spring planting. This year, the countess was extending her flower garden and putting a new twist on it. Harrietta was already at work compiling information. Any day now they would begin a list of supplies that must be sent on ahead for the project. Blackstone bid his mother goodbye, well pleased with their time together, except for his feelings toward her companion. He was not a man to let well enough alone when it made him uncomfortable and he was distinctly discomfited by her aversion to him. He would not have the pleasure of his mother’s company invaded by her companion’s reticence. Nor could he shake the feeling that Miss Eastmont needed help. The following afternoon found Lord Blackstone back in the sunny salon for afternoon tea. He had concluded over a glass of wine the previous evening that Miss Eastmont would be served by continuous exposure to him. Familiarity would lead to a level of comfort; get back up on the horse and all that. His mother’s companion would find, over time, she had nothing to fear. Harrietta’s shoulders sagged as her head rose, knowing she could not directly ignore her employer’s son. The past few moments had been spent giving herself a firm reprimand for her missishness. This was no time to give into her qualms; she could lose her position, but more than that, she would not be so rude to Lady Blackstone. The countess had been kind and generous. Her son was obviously the light in her life. Harrietta knew she had to find a way to appear comfortable in Blackstone’s presence. He felt a hit of pleasure when Miss Eastmont’s eyes lit up. Appreciation for Lady Blackstone was shared. Harrietta watched as mother and son connected in such easy manner. She was relieved to let them carry the conversation. The high-backed chair felt much like a protective cove in an ocean of discussion. As tea time unfolded, Harrietta let the tête-à-tête wash over her while she observed the gentleman who mirrored his mother’s good looks. Both were tall and slender, but Lady Blackstone had the feminine grace of a sleek housecat while Lord Blackstone electrified the air with the musky power of a trim lion. Intelligence and curiosity marked their brows. And though they shared blue eyes, there was nothing soothing about his gaze. Harrietta sipped her tea, aware of the short, strong fingers holding Lord Blackstone’s cup. In this he was not like his mother. Her hands seemed all fingers, long and delicate. They were white and ladylike soft. Though manicured, his gentleman’s hands knew activity, perhaps work, thought Harrietta, recalling he had just returned from his estate. In similarity and differences, this was a man who could offer safety or have his way. There lay the fission that slipped down Harrietta’s spine and kept her silent in the moments she might have added to the conversation. Harrietta entered her room in a fit of dismals. Finding her chip straw and adjusting it on her head, she calmed herself. Grabbing her shawl, she acknowledged this was but one of the many moments she would be required to be in Lord Blackstone’s company as long as she was Lady Blackstone’s companion. She must be careful, but she must also make herself available to Lord Blackstone’s company when propriety was measured and commonplace recommendations were suggested. By the time Harri returned to the salon, she felt she was able to greet Blackstone with apparent calm. She determined Lady Blackstone’s needs were met and gave her a wan smile before being escorted out the French doors. The countess, wishing them a pleasant stroll, picked up her needlework knowing full well her companion would rather be on the arm of a bear and wearing a bee’s bonnet than stepping outside with Stone. Blackstone was also aware of Harrietta’s personal challenge and did not offer his arm, convinced she would prefer no contact. He accepted the discomfort of being less than gallant. Feeling it did her no harm to withstand his company, his thought was to exhibit an unexceptional moment in his company without the protection of his mother. He would not keep her long. “It was instilled at birth, I believe,” he responded. “And nurtured by her interests, I am afraid. I make a better country gentleman than Member of Parliament. One grabs my attention while the other pulls at me only through obligation and responsibility,” he said, moving them on down the stairs with a nod and step forward. Blackstone turned right at the bottom of the stairs and initiated a slow pace so Harrietta might look at what was familiar to him. With each step, she became less focused on his disconcerting presence and more entranced by the layout of the garden and the signs of spring. The well-pruned branches created designs she itched to sketch. The sprinkling of green against the browns of the earth and bare branches was a study in color quite different than the lush greens that would soon take over. Harrietta was seeing with her artist’s eyes and did not know how long she had come to a full stop as potential sketches and paintings faded away to acute awareness. Her face paled when she realized how distracted she had become. Expecting consequences for her lapse, she was uncertain in how to proceed when she realized Lord Blackstone was also preoccupied. She waited at attention until he chanced to look back at her and suggested they take a seat directly ahead. Lord Blackstone found himself lost in Harrietta’s caring insight. He had been accurate in his assessment of her quick mind. Blackstone was inclined to think the garden too small, the path too short as he completed the circumference of the garden with her. While he had intended to carry the day with cool social graces during a quick tour, they returned to the base of the terrace steps with Miss Eastmont feeling more at ease and Lord Blackstone more disconcerted.